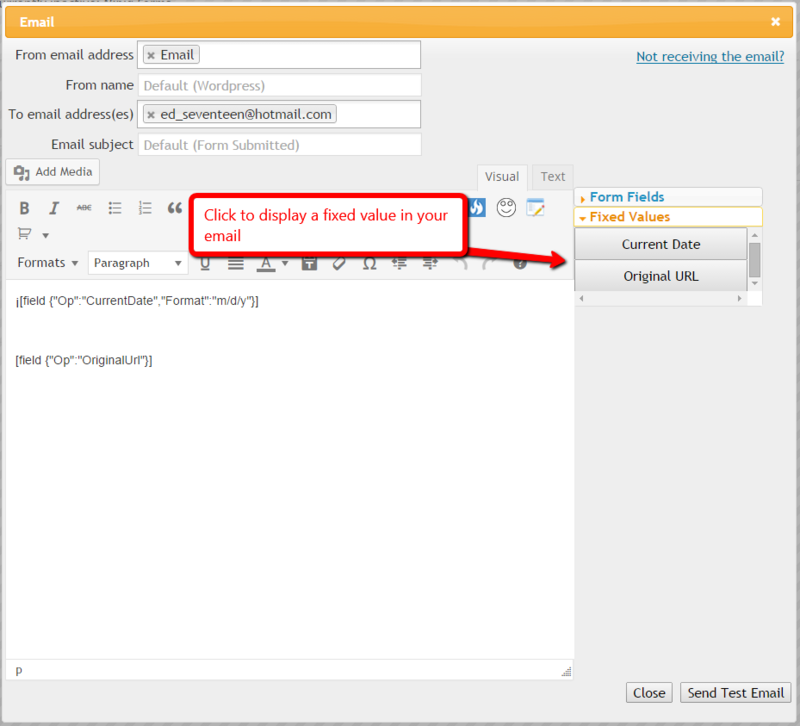 In the latest release i introduced fixed fields, with these fields you can display in your email information that is not submitted by the user but is not static either, like the current date or the url where the form comes from. 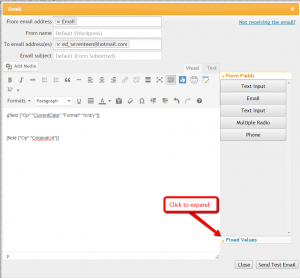 To use them you only need to expand the fixed field panel in the email editor. 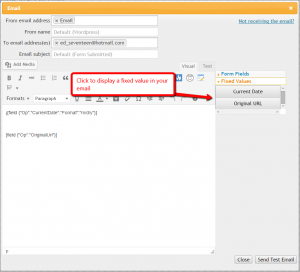 For now there are only two fixed values, current date and original url. If you have suggestion for more let me know!